Sometimes when I flick through a pattern book a certain one just seems to say “make me”. 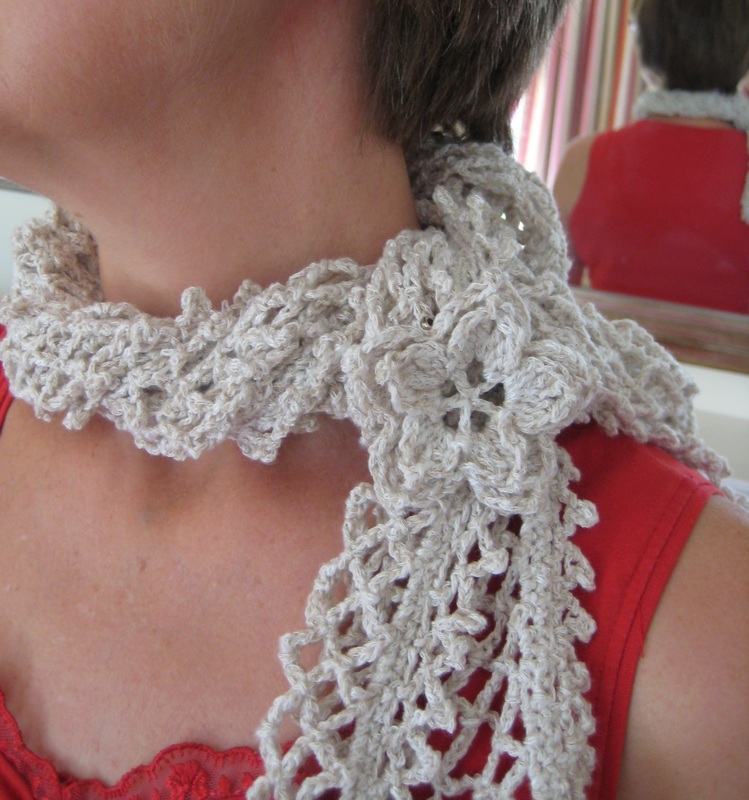 Well this shawl pattern from Cute and Easy Crochet jumped out at both me and my mum so I knew I would have to make one for her at some point! I picked up this linen-mix yarn in the sale (only 2 skeins) and knew my mum would like it. 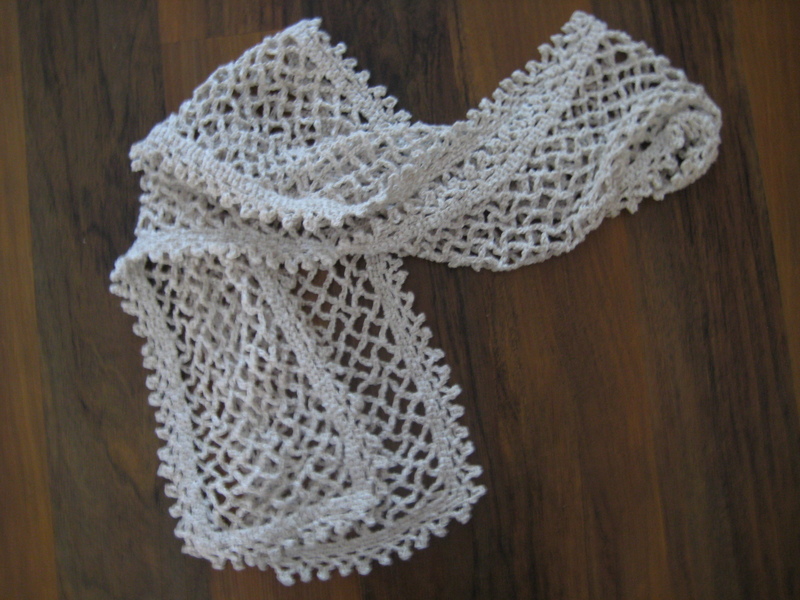 It wasn’t enough yarn to make the full size shawl so I modified the pattern to run in lengths rather than widths, which just made it come out narrower, so it is really a scarf rather than a shawl. 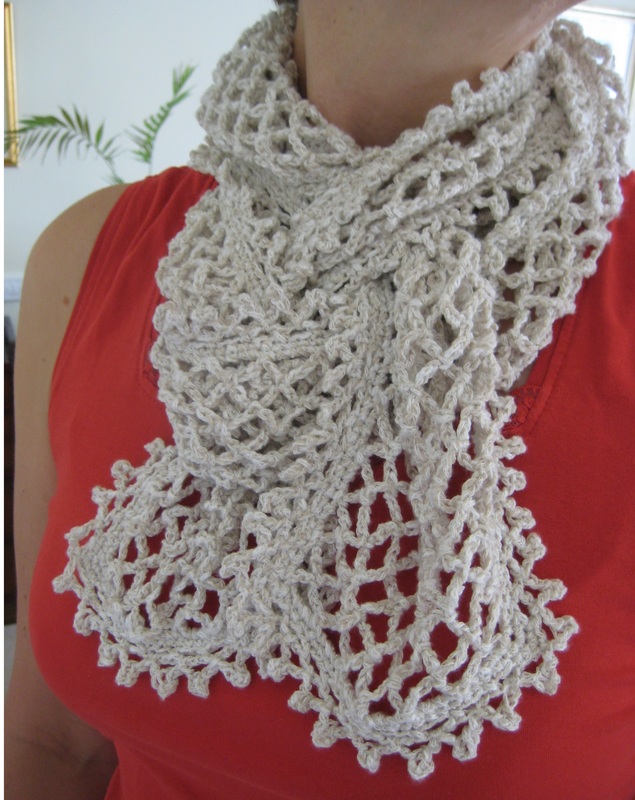 I actually like it better as a scarf because it can be worn several different ways (as modelled by my lovely mum)! 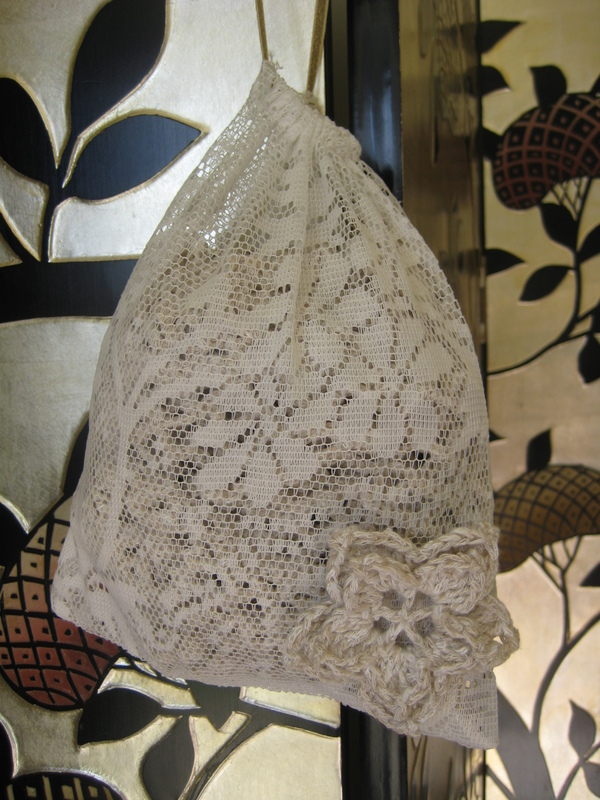 I have also been busy running up some lace drawstring bags from those leftover lace curtains I mentioned in an earlier post, and I plan on using these as gift bags. To make them a bit more interesting I will decorate them with flowers to match whatever is inside, like I have with this scarf. 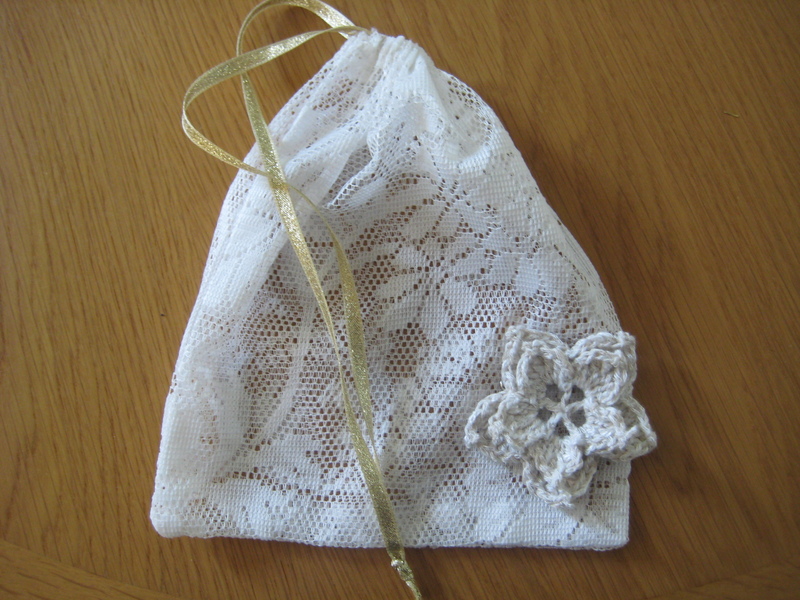 I actually did the flower as a brooch so it is like an extra gift and can be worn with the scarf or just separately. 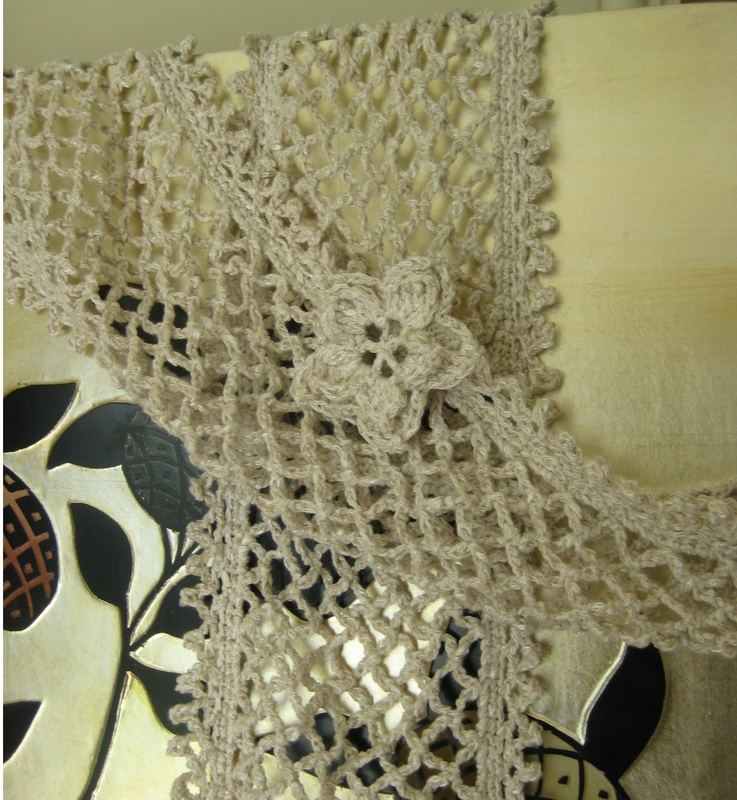 I will put a link to the pattern I used for this flower in the next few days!